Dr Jonas Chianu (2nd from left) leading the dialogue with other stakeholders. An African Development Bank (AfDB) mission on Technologies for African Agricultural Transformation (TAAT) visited Burundi, 5-9 March, to meet and update Burundian authorities and stakeholders in agricultural research and development including donors, farmers, microfinance institutions, and the private sector on the latest on TAAT. 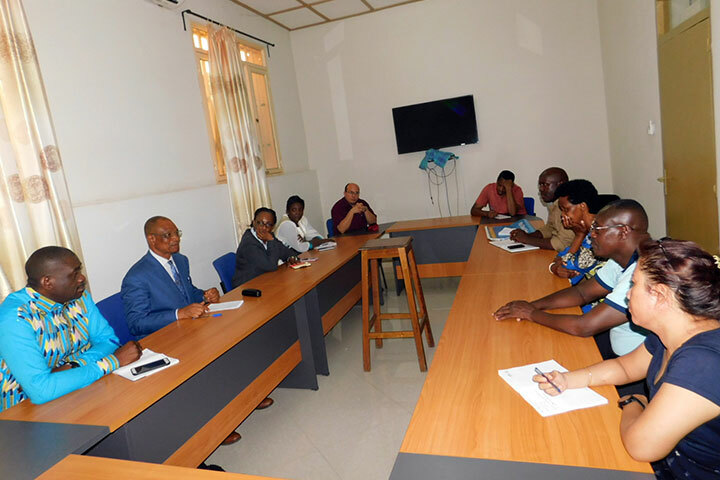 The visit was led by Dr Jonas Chianu, AfDB/TAAT Program Director, accompanied by Mr Wissam Gallala, Mrs Maria Marealle Saguti, and Mrs Koulibaly Yameogo Rufine. The visit was in line with the approved TAAT in-country dialogue and identification mission. The mission aimed at identifying Country Programs and priority agricultural commodity value chains for implementing the TAAT program and framework of science, technology, innovation and knowledge on good agricultural practices to increase productivity, wealth creation, and poverty reduction. The mission met and discussed with Minister Déo-Guide Rurema, Burundi Minister of Agriculture, Mrs Odette Kayitesi, Head of Committee for Land Issues at the Presidency, Mrs Marie Salome Ndabahariye, Permanent Secretary at the Ministry of Finance, representatives of research institutions, universities, development partners, private sector and microfinance institutions, including senior officials at the Ministry of Agriculture. A separate meeting was held with the staff of the World Bank led by Mr Nestor Coffi, World Bank Burundi Country Manager. The team also visited the tissue culture lab and facilities of AGROBIOTEC, National Centre for Food Technology research (CNTA), TOTAHARA composite flour processing center, and IITA offices and staff to give an update on TAAT and also gather information on IITA activities in Burundi. 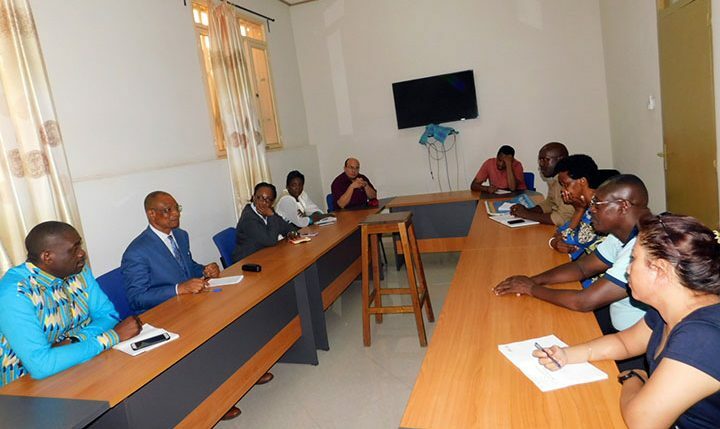 The main outcome of the mission was an agreement on the place of TAAT in the agriculture sector of Burundi, especially the need for agricultural intensification and soil conservation to improve and increase agricultural production as over 80% of the population depend on agriculture. The government of Burundi expressed its readiness and willingness to collaborate with TAAT, especially through an integrated approach and value addition for priority value chains. Research and development partners also indicated their willingness and interest to collaborate in achieving TAAT’s objectives by addressing challenges limiting agricultural development.